If you have kids, you probably already know that when one gets something new, the other immediately wants it, too. 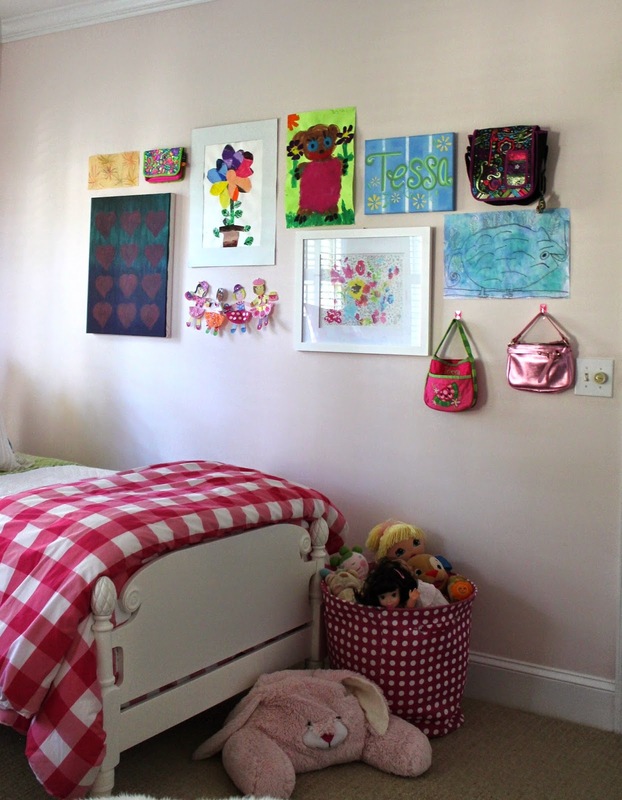 And this, my friends, is the story of how our big girl also received a new gallery wall in her room. 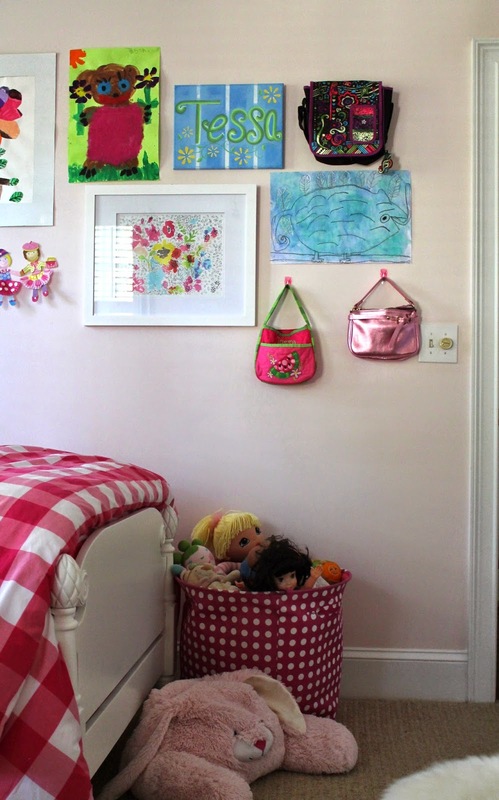 Honestly, I had promised a wall treatment incorporating her collection of purses for quite some time. Completing the gallery wall in our little lady's room was just the perfect excuse to finally get started in our big girl's room. We started by collecting the elements that we wanted to incorporate: purses (obviously! ), homemade art, school art, camp art, etc. Then worked on the arrangement - fortunately most are hung temporally with command strips (velcro and hooks) and can be easily moved along the wall. Some of the school art is from last year in Kindergarten, so I hung them simply with putty to make them easy to replace with more current pieces from this year. Two bedrooms, two gallery walls and now everyone is happy. Hope everyone had a great weekend and a happy veteran's day. We've had family in town, loving the time together and all this beautiful weather.